Under current Illinois law, individuals seeking to buy a gun must first obtain a Firearm Owners Identification (FOID) Card from the Department of State Police. The tragic shooting at Henry Pratt Company in Aurora on February 15, 2019 brought to light dangerous gaps in the state law that allowed the shooter to have easy access to guns despite a previous felony conviction. The Fix the FOID Act would address many of these gaps, strengthen the FOID system and help ensure that people with a violent criminal history, who are prohibited from gun possession, cannot evade the law and arm themselves. Barbara Hernandez, the recently sworn-in state representative for the 83rd House District, including Aurora, is a Chief Co-Sponsor of the bill. “The shooter at Henry Pratt never should have had a gun in his possession. 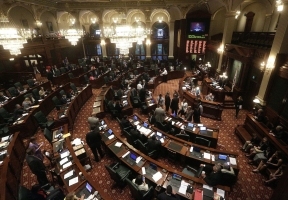 With the small, yet vital, changes to our gun licensing system that the Fix the FOID Act proposes, we can prevent these tragedies from repeating themselves,” said Representative Barbara Hernandez, Illinois 83rd House District. “Local law enforcement is networking with our legislators to swiftly revamp how firearms licensing is vetted, issued and monitored. 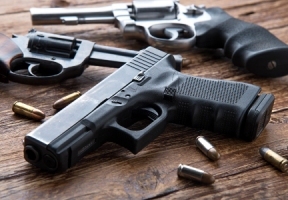 This will be a combined effort that will ultimately give more strength to the Illinois State Police as the governing agency to ensure that persons who have their firearms ownership status revoked will not be able to continue possessing firearms. I wholeheartedly support the efforts of Gun Violence Prevention Action Committee to push new legislation forward to enhance the safety of our communities,” said Ron Hain, Kane County Sheriff. The press conference took place after Chicago experienced a weekend of 24 shootings, resulting in five deaths. In one incident, two children were among several people injured at a baby shower, Chicago Police Department spokesman Anthony Guglielmi said earlier this week. Earlier this year, Governor JB Pritzker signed the State of Illinois first gun licensing law, which aims for more oversight over gun sales at gun shops. 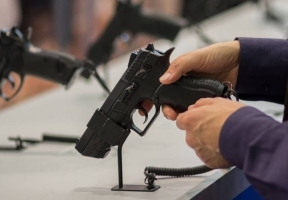 It requires gun shops to get a state license, put in surveillance cameras, establish electronic inventory system and anti-theft systems and train employees every year on spotting straw gun sales. The Gun Violence Prevention Action Committee is a 501c (4) organization that was founded in 2017 by victims and survivors of gun violence to advocate for evidence-based, gun violence prevention measures that will save lives in Illinois.